St. Joseph Mercy Hospital of Brighton needed a freshening of their display in their lobby. A design was done that used existing Marble and repurpose it for new verbiage. The result was a dramatic Donor Recognition Display that highlights 10 different category levels of giving. 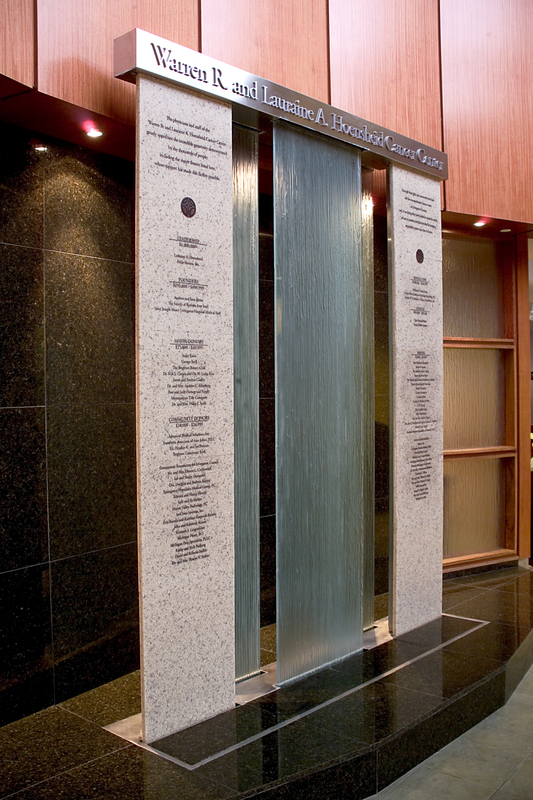 To compliment this display a series of individual plaques recognizing individual donors for their gifts of selected rooms in the facility.